some Interesting Facts About Akshay Kumar You must Know along with His Diet and Formula for the Fit Life. Akshay Kumar is one of those Bollywood Actors who have scratched their way to reach at the top level. He is currently one of the Bollywood Superstar who have massive fan following. A very down to earth person who lives a simple life. 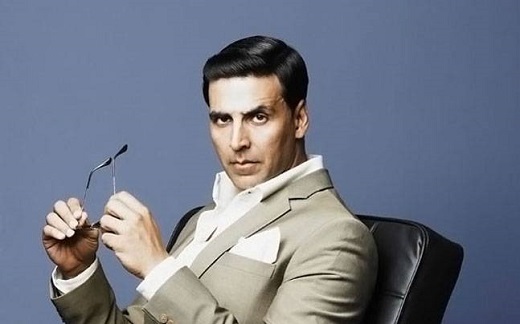 Here are some interesting facts about Akshay Kumar which will make his fans happy and proud.After knowing these facts and Akshay Kumar’s incredible qualities, you will surely start loving him more. Let us know how much you liked these Facts about Akshay Kumar. He has No Equipment in Gym : Akshay Kumar’s gym is not a normal gym. He don’t have any equipment in his Gym. He do exercise, running, boxing and martial art to remain fit. He avoid Lift as much as possible.Akshay Kumar’s fit physique is not because of any heavy weight lifting. In fact, his gym is one of the most unique gyms as it does not possess any equipment. He indulges in running, martialarts and boxing to stay fit.Sometimes, he combines Yoga exercises with swimming. Akshay Kumar gives weightage to both physical as well as mental health. In Yoga, he practices Yamas, Niyamas, Santosha, meditation and stretching Yoga. He Love HONDA : Akshay Kumar do have luxurious cars but you will see him in Honda CRV most of the time. He feels that Honda make best car according to Indian roads. He dosesn't believe in show off: Surprised!! Yes, Akshay Kumar spends less than 10000 for personal expense. This does not include food which is provided at Set. He is a fitness freak : Akshay Kumar was always a fitness freak, even before he entered Bollywood. A martial arts expert and the ‘Khiladi’ of Bollywood, he has been professionally trained in Taekwondo and Muay Thai. He is a black belt in Taekwondo and learnt Muay Thai in Thailand where he worked as a chef before beginning his successful acting career in India. Learning Martial Arts was his childhood fantasy. His schedule: He starts his day with a heavy meal of parathas and a glass of milk followed by fresh fruits and nuts for snacks. Lunch is a balanced meal of lentils, brown rice, wholesome veggies or lean meat and yogurt. The one thing that he has followed throughout his life and has really made a difference is eating before sunset. The last meal of the day is a light combination of soup and sautéed vegetables. If he feels hungry after 7 pm, he'd probably have an egg white omelette or soup or something that is easy to digest. And when he has to head out for dinner, he only eats proteins and tries to avoid carbs. His tip to avoid unwanted cravings through the day - “Eat every three hours but eat healthy," he announced on the sets of MasterChef India. He avoids packaged and processed foods as much as he can. The secret to Akshay Kumar’s fabulously fit body is out and it’s fairly easy to follow. “You don’t have to be obsessed with exercising or dieting, the most important thing is to maintain a balanced and active lifestyle,” Well said Akshay, well said! His workout regimen focused upon fitness of the body instead of muscular one, so he completely disagrees with food supplements and steroid to make muscles. 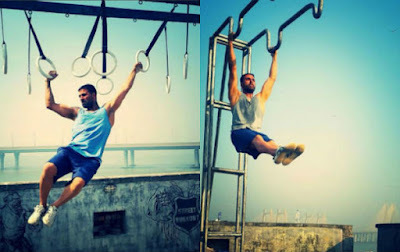 His fitness mantra and workout regimen revolves around array of exercises which he likes to practice on rotation basis. Every day he gets up at 4.30 am in the morning and goes for one hour swimming. His fitness secrets is to get early in the morning and mixing various fitness regime to avoid monotonous exercises. He believes that martial arts and Yoga provide physical fitness and inner balance. His inclination is towards natural therapy to make himself fit and hot. Dinner: very light dinner. His dinner includes soup, salads, and veggies.